No matter how long or hard you have been trying to get pregnant, when you see a heartbeat on the ultrasound monitor, you suddenly realize you’re not as prepared as you thought! I specifically remember an acupuncture session I had the week we saw a heartbeat (around 6 weeks pregnant), laying there alone with my thoughts. It became a reality that we were having a baby. Was the second bedroom really enough room for a baby? I pushed the thought away, we still had plenty of time, right? I spent so much energy focused on getting pregnant that I hardly put any thought into the logistics of parenting. At 25 weeks pregnant I visited my cousin and her 3-month-old twins, and the logistics smacked me in the face. When I got home, tired after the flight and lugging my big ol’ suitcase up 25,000 steps from the train (I exaggerate and digress because I still remember how heavy it felt! ), the garbage needed to be taken out, the sink was full of dishes, and I knew laundry couldn’t be put off much longer. I went into the bathroom and started crying. I was rushed with the feeling of being unprepared. Of not knowing how much I could handle. 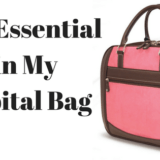 I had stressful days and a hectic schedule before the baby was here, how would I manage all of that with an infant on top of it all? As a planner, it was hard to wrap my mind around something changing my life so drastically, yet not being fully able to plan for it because I had no idea how it would actually feel . If you’re a planner – and all of my clients seem to be – whether you’re preparing to start trying or are already pregnant, you probably have a million questions that no one can truly answer. Every baby is different. Every mom’s postpartum period is different. It can be unsettling, to say the least, to not know what postpartum life will be like. This is a super common stress with the women I work with, and I love that managing this stress is on their radar before the baby arrives. 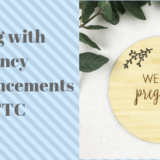 If you’re TTC or already in the family way (I’m sorry, but that is my favorite euphemism for pregnant), here are a few things to try to reduce your stress level now and feel more confident when the baby arrives. Start taking stock of your commitments, including work, friends, volunteering, household, and things you regularly do for yourself. Mentally, or physically, map out which ones you want or need in your life, which you can let go, and which need to be altered. You won’t have everything figured out and set in stone, and keep in mind that your feelings about these commitments could do a 180 once the baby arrives, but you’ll be more aware of what’s important and start to see how things can fit. Work is a big one. You could be planning to go back after maternity leave, but decide to talk to your boss about reducing or eliminating your involvement with off site events. If you volunteer for two organizations, decide if they are important enough to continue, if one could be dropped, or if there is a way to stay involved in a less demanding way. If you run a book club, is it feasible to still do this? Can you take a break and come back, or allow someone else to host/coordinate while you step back to being a participant? Again, once the baby arrives you could change your mind on any or all of these areas, but going over them beforehand can give you great insight and a sense of control and a plan. This doesn’t have to be a 2 hour summit where you assign responsibilities and create chore charts (although if that makes you both happy, go for it! ), but talking through your concerns about the unknown will be great for both of you. Asking for help is hard for a lot of women. 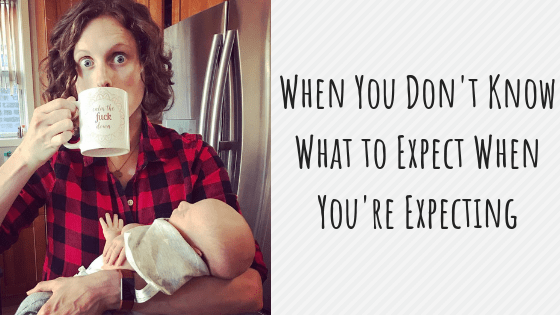 I found that spilling my worries about not being able to keep up with what I had been doing around the house, led to an honest discussion about both of our expectations, what each of us felt we could handle, and when and how to ask for help. When Owen was 4 months I started meeting up with a few new moms in my neighborhood. One woman attended a few meetups a couple weeks before she was due, which I thought was incredibly smart! You don’t need to wait until the baby arrives to meet other moms, find infant music classes, or schedule your appointment with a pelvic floor specialist. If you aren’t sure who to invite into your village, or where to start in building one, check out this post and start your list! When I talk about stress management with my clients, I make it clear that we aren’t aiming to eliminate all stress. It’s impossible to never get stressed, and a moderate amount of stress is perfectly healthy. Still, having a plan at the ready for when you dip into the land of bad stress makes it easier to get yourself back on track. It’s hard to make a plan when you don’t know what life will feel like with a baby, and for all of us planners that is a big stress. Having a rough draft of a plan, and understanding that you simply don’t know how things will feel and being open to it all, can be a tremendous help in feeling ready for such a huge life change. Want help coming up with a personal postpartum plan? I’d love to talk through things with you! Email me at Samantha@simplywellcoaching.com and let’s chat. In a quick and free 20 minute Discovery Call you can determine if Prenatal Health Coaching is right for you.